Preheat oven to 350 degrees and lightly coat a cooking sheet with nonstick spray. Cook eggs scrambled almost completely leaving some moisture to them, season with salt and pepper for taste in a pan. Cook meat of choice in a seperate pan. 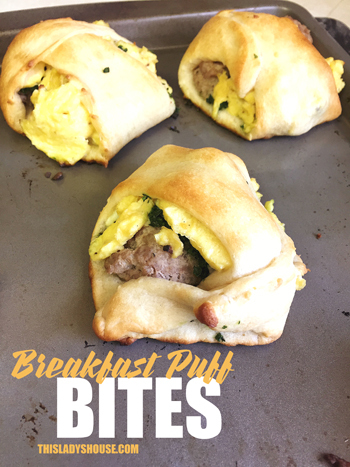 Lay crescent rolls on cooking sheet and add eggs, meat, spinach or kale and cheese to each crescent and gently fold oven the ingredients so the roll connects to itself. Bake for 12-15 minutes, or lightly golden. Serve and enjoy!